Nokia has just been purchased by Microsoft. The timing of this tablets release is interesting because Microsoft has also refreshed it's own, tablet line. 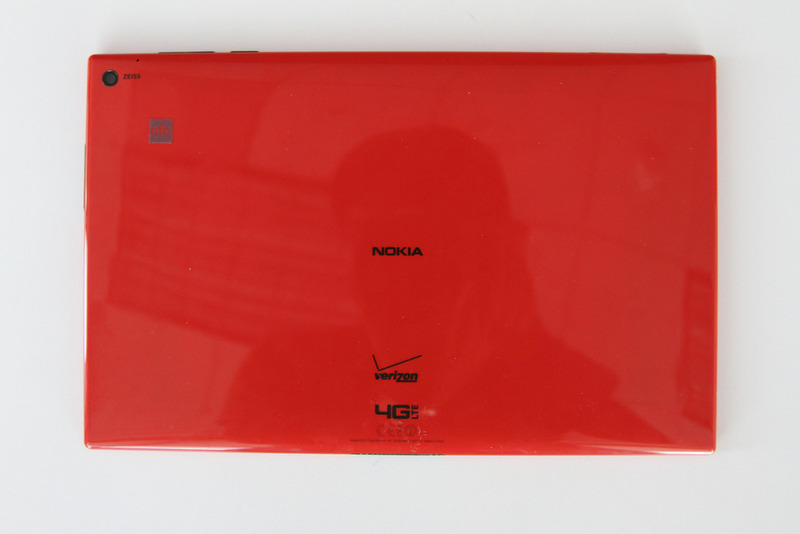 This Nokia offering is in direct competition with Microsoft's Surface 2 tablet. It differentiates itself in a couple of key ways that seem to be in direct opposition to Microsoft's competitive talking points. First, Nokia has eschewed the kickstand to provide a more, tablet-like experience. Apple believes that, though there are times when a tablet can be a passive display, it is primarily something with which you physically interact. Microsoft is the opposite. You physically interact with it as little as possible, using it primarily, as a passive display. With their first offering, Nokia has sided with Apple. This compromises Microsoft's ability to mock the iPad on the basis that it lacks a kickstand. Second, Nokia neglected to include a USB port. Again, the lack of a USB port is touted as a major deficiency of the iPad. This is a bigger deal than it seems at first glance. On Windows tablets, the USB port is primarily used to attach a mouse. That is because Windows needs a mouse. You can't hold a tablet while using a mouse. That is why a kickstand is also necessary. Nokia, however, wants a tablet, not a Windows PC. This really puts Microsoft's marketing team in a difficult position. A less obvious factor is the keyboard, or lack thereof. To be clear, Nokia is offering a keyboard as an after-market purchase for the 2520. The problem is that the keyboard is not ready for release at this time. There are no reviews of the 2520 that include the keyboard accessory. Either Nokia rushed this tablet out before it was ready, a distinct possibility, or they don't mind having it marketed as a pure tablet. You will never see a Microsoft tablet promoted sans keyboard, even though it is an extra purchase. Nokia has taken the opposite approach. This further repudiates Microsoft's marketing that a tablet without a keyboard cannot be productive. Pulling from their heritage as a phone maker, Nokia has included cellular radios for connectivity. They do not offer a wifi only model like the Surface. All of their models are 4G enabled. That makes them more like LTE iPads, and less like Surface tablets, which take their cues from traditional, Windows PCs with no cellular connectivity. Finally, there is price. Microsoft likes to play tricks with pricing in their ads. They compare their 32 GB model to Apple's 16 GB model, though there is very little difference when it comes to actual, available storage on the devices. Furthermore, they like to show the price of a junk tablet compared to an iPad, as if there was no difference between the two. Well, Nokia has entered the ring in the same weight class as the iPad, starting at $499. Once again, that makes it very difficult for Microsoft to show any distinction in price. It is as if the Nokia tablet was designed to refute all of Microsoft's anti-iPad marketing. The 2520 presents itself as just like the iPad, only running Windows RT. That has to be very interesting, and profoundly embarrassing to Microsoft. I can't wait to see how they position their next line of anti-iPad ads.